Oprah Winfrey is getting ready to launch her own line of organic produce. Winfrey will be dedicating 16 acres of her 1,000 acre land in Maui to building a farm. The media mogul said health expert Bob Greene gave her the idea. 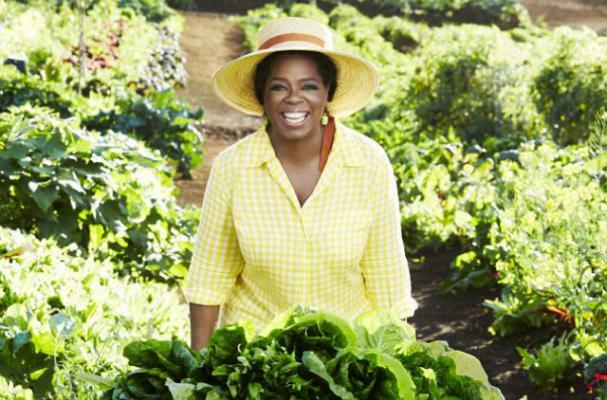 "We realized if we could grow delicious food ourselves, we could share it," Winfrey wrote in the May issue of O. She has teamed up with Bio-Logical Capital, a natural resource management group, to help her along the way. She will be growing more than 100 different fruits, vegetables and herbs. For now, Winfrey has been giving away about 145 pounds of crops a week away for free to a few charities and restaurants. However, Greene, recently revealed that they are planning to sell the produce. "I grew up with a grandmother who was always growing things -- everything that we ate came from our own little one acre, and to be able to have a full circle moment like this, not in Mississippi but in Maui, is fantastic." Would you by produce from Oprah?